Ask Not What Your Country Could Do For you. Ask What It Could Do To You. John Cruise — better known as the superpowered delta Patriot — only wanted to serve his country, which has suffered under martial law since the assassination of the First Lady back in 1963. For years, he did so as a member of Delta Prime, the federal paramilitary organization dedicated to keeping deltas and the rest of the population in line. Then, during the Bicentennial Battle, Chicago disappeared in a blinding flash of light, taking the world’s most powerful deltas with it, along with Patriot’s wife. Today, in 1999, Patriot leads a group of rebel deltas known as the Defiance, all of whom are on the run from Delta Prime. He hopes to find a way to break scores of their imprisoned friends out of New Alcatraz, the only place on the planet strong enough to hold them all. But then, while rescuing college student Lisa Stanski from a pack of Primers, the unthinkable happens. Now it’s up to the rest of the Defiance, including Lisa, to figure out how to break Patriot out of New Alcatraz before his old pal Ragnarok, now the leader of Delta Prime, has him executed without trial, under the direct orders of President John F. Kennedy himself. 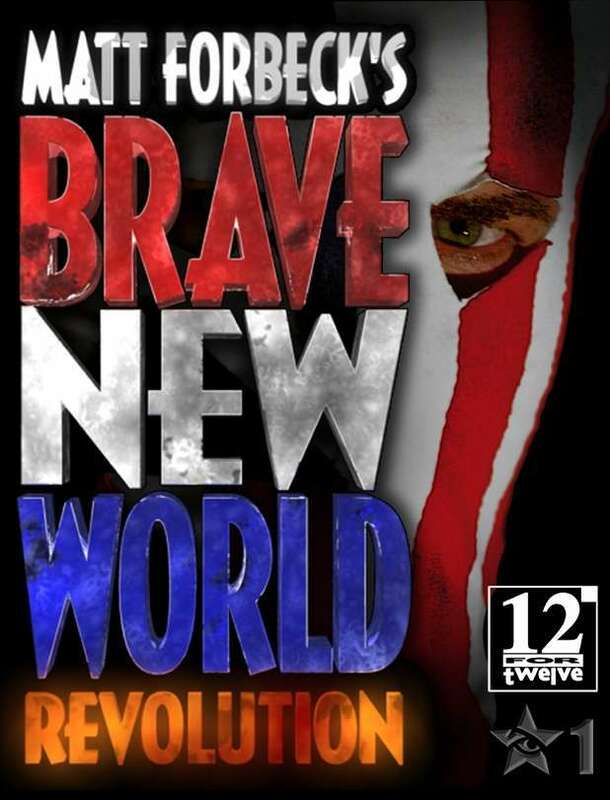 Matt Forbeck’s Brave New World: Revolution is now available in eBook format at DriveThruFiction.com!